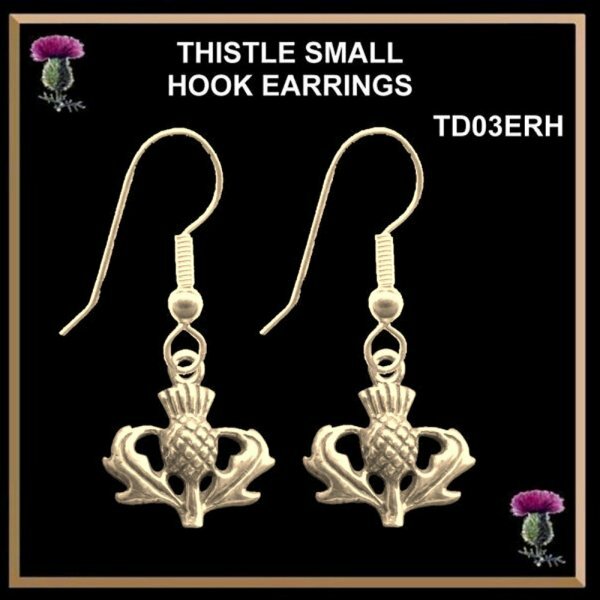 The thistle has long been the emblem of Scotland and this beautiful thistle design is a great way to share in your Scottish heritage. 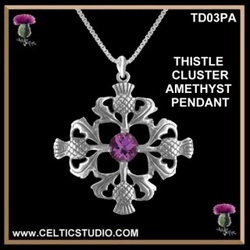 Meticulously handcrafted from fine sterling silver, this design is available in a large variety of items, some with stones. 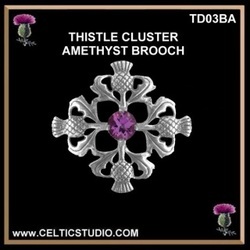 Be sure to check out the matching raised thistle ring for women and the heavy solid inset thistle ring for the men. 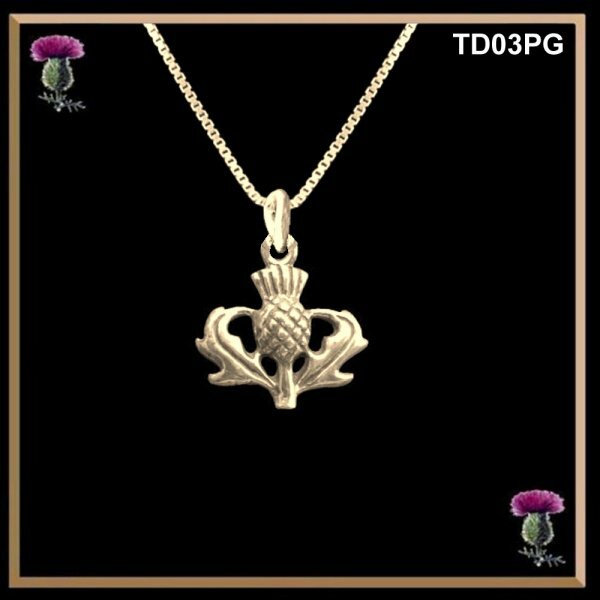 Meticulously handcrafted from fine sterling silver, the thistle measures 1/2" (13mm) by 5/8"(16mm) and includes an 18" high quality chain. 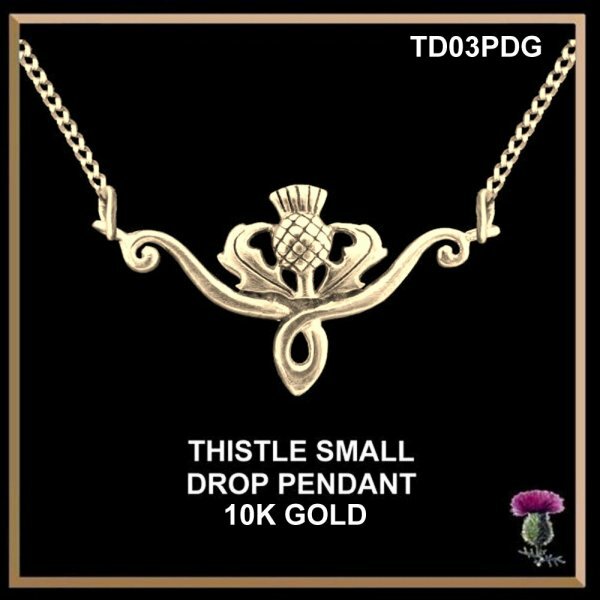 Meticulously handcrafted from solid 10K gold, the thistle measures 1/2" (13mm) by 5/8"(16mm) Chain is extra. 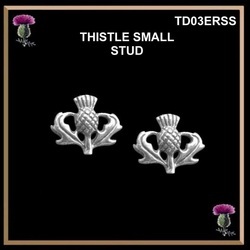 A great addition to any wardrobe, these sterling silver thistle earrings measure 1/2" (13mm) by 5/8" (16mm). 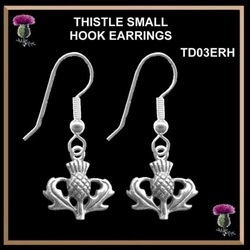 The posts and backs are both sterling silver. A great addition to any wardrobe, these 1OK gold thistle earrings measure 1/2" (13mm) by 5/8" (16mm). The posts and backs are both 10K gold. A great design for every day, these sterling silver earrings measure 1-3/8" (34mm) from the top of the hook by 5/8" (16mm). Pair it up with one of the matching pendants to complete your set. A great design for every day, these 10K gold earrings measure 1-3/8" (34mm) from the top of the hook by 5/8" (16mm). Pair it up with one of the matching pendants to complete your set. This delicate drop pendant is handcrafted from fine sterling silver and measures 3/4" (20mm) by 1-3/4" (45mm) and comes complete with an 18" chain. A stunning piece from any angle. This delicate drop pendant is handcrafted from solid 10K gold and measures 3/4" (20mm) by 1-3/4" (45mm) and comes complete with an 18" chain. A stunning piece from any angle. This exquisite sterling silver pendant measures 1-1/4" x 1-3/16" (32mm x 32mm) and features a lovely dark amethyst 1/4" (12mm) stone. 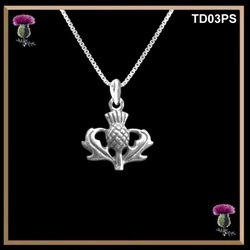 Our pendant includes an 18" high quality chain. This exquisite sterling silver pendant measures 1-1/4" x 1-3/16" (32mm x 32mm) and features a 1/4" (12mm) cairmgorm (yellow topaz) stone. 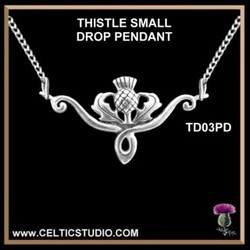 Our pendant includes an 18" high quality chain. This exquisite sterling silver brooch measures 1-3/16" x 1-3/16" (32mm x 32mm) with a high quality modern pin and safety roller catch. It features a lovely dark amethyst 1/4" (12mm) stone. This exquisite sterling silver brooch measures 1-3/16" x 1-3/16" (32mm x 32mm) with a high quality modern pin and safety roller catch. It features a lovely cairngorm (yellow topaz) 1/4" (12mm) stone.